Pasco Sheriff’s Office K9 Buster is tracking a scent taken from a deputy during a demonstration of scent kits. When a child with autism or an elderly loved one with dementia wanders off, a K-9 is often called in to track their scent. But sometimes a shirt or blanket belonging to the missing person is contaminated with the scent of others, making it harder for the dogs to track them. The Pasco Sheriff’s Office began handing out scent kits this week that should help them find missing people faster. “What we're trying to do is as quickly as possible is to find those loved ones, find those people that go missing, find those little children that wandered off from the house,” said Pasco Sheriff Chris Nocco. The kits contain a sterile gauze that is rubbed on exposed skin and then sealed in a glass jar. The scent remains viable for at least five years. The scent kits are part of a partnership with a private company called SafetyNet. The sheriff’s office is providing the kits for free to Pasco residents with autistic children or elderly parents with dementia or other issues that could cause them to wander. Those who get the kits will also get a transmitter to that attaches to the wrist or ankle. The transmitter emits a radio signal and deputies have radio receivers from SafetyNet that help the track the missing person. The sheriff’s office has used the receivers since 2015 but will start using the sent kits in June. 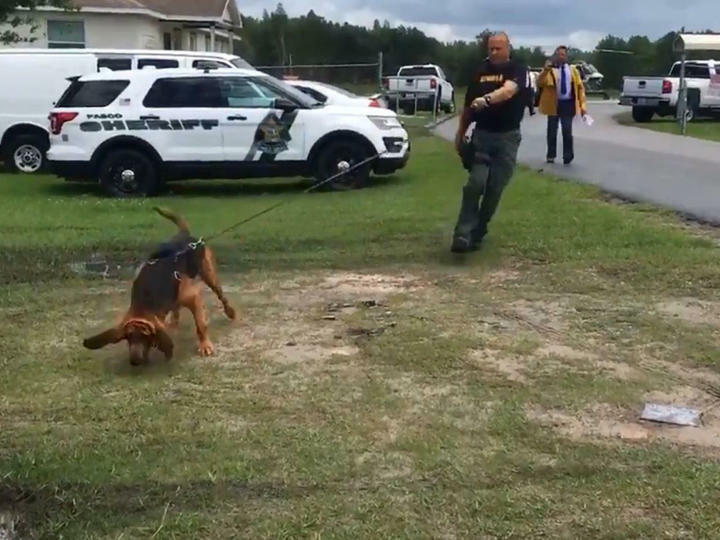 “For a deputy to be able to go to someone’s house, get that scent and provide it to the K-9 handler, we have cut down on the amount of time it takes us to find that individual,” Nocco said. In the past year, the sheriff’s office has responded to 1,200 missing person calls. 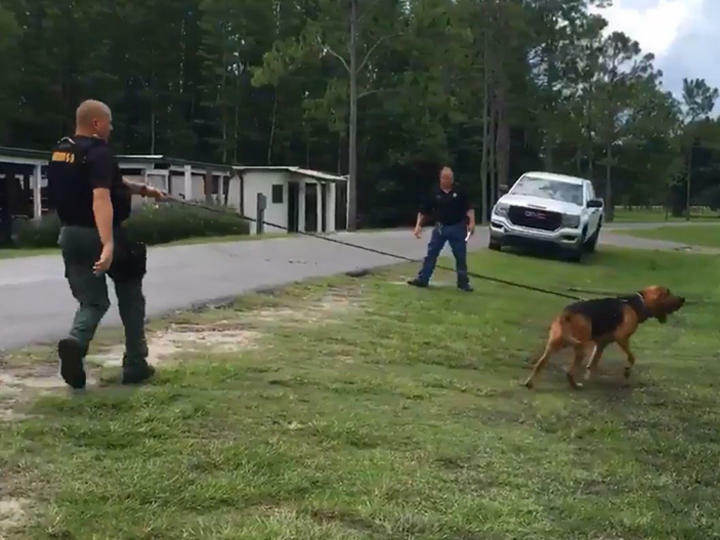 Nine Lakeland police officers have been suspended after driving at very high speeds during a trip to a police dog competition. They take bullets for their partners, work overtime for no pay and don’t get benefits. 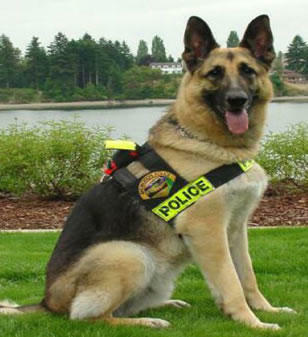 But as Jim Ash reports, that would change under a proposal by a House Democrat to set up a retirement plan for police dogs.